If you are a creative and curious person that thinks twice before buying expensive things for yourself or home then you are in the right place.I post new articles every week trying to teach or inspire you to create beautiful things.Do it Yourself! It's more fun that way! 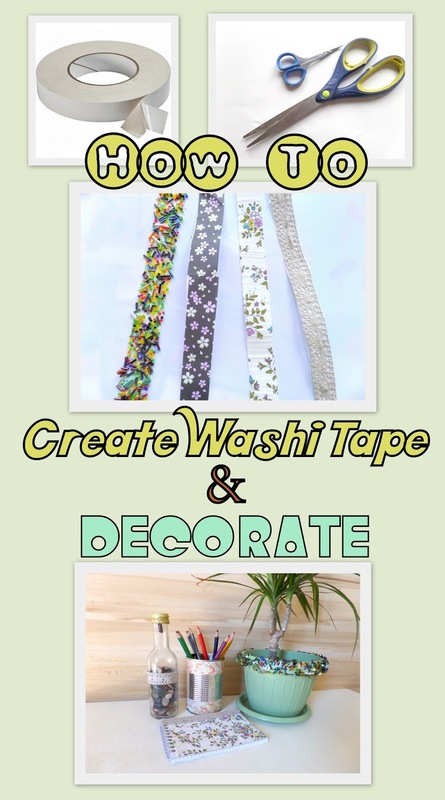 Washi tape is one of the "must have" items that every crafter should have. But what if the ones from the store are too expensive or the designs that are out there don't fulfill your needs? 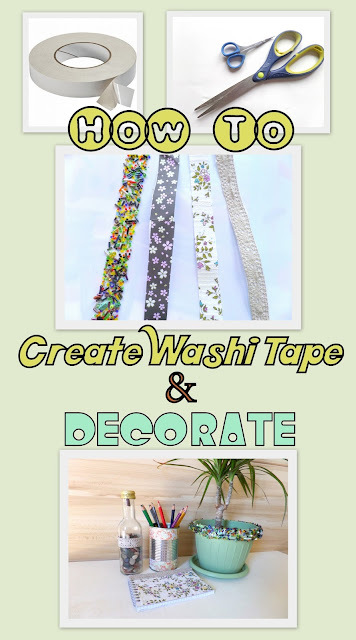 Here is a quick tutorial on how to create your own washi tape. You probably already guessing the steps. No? here's a hint : double sided tape ! 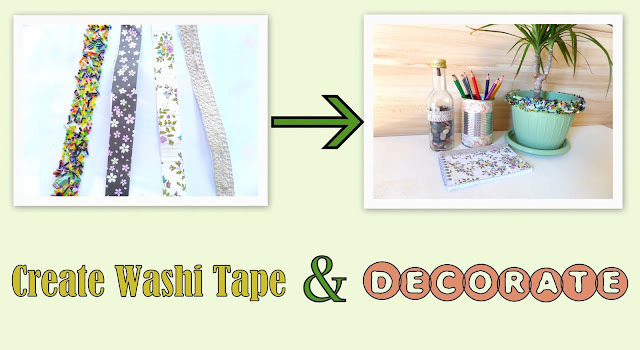 On one side you stick your desired pattern - decorative paper,beads,lace,fabric etc and then you stick the other side to the object you want to decorate.